Athens, the birthplace of democracy is renowned for some of the world's greatest cultural monuments like the Parthenon, the enduring symbol of Ancient Greek beauty. The remnants of the past provide visitors with a fascinating insight into the city's rich history. Thanks to the rapid advancement in the field of archaeology and monument preservations, most of the historical edifices of Athens are very well preserved even to this day. A visit to Athens will take you on a beautiful journey through the ages and you will discover the magnificent architecture of Athens. The most characteristic monument of Ancient greek architecture is the Parthenon, on the Acropolis Hill, also known as the sacred rock. It is one of Europe's most enduring monuments built during the Classical period, in 448 BC over the site of an ancient sanctuary of goddess Athena. It is one of the few temples that was entirely constructed with marble and the only one with Doric order, the oldest form in Greek architecture. In 1687 AD, the Venetians troops besieged the Turks who were in the Parthenon with a bomb that destroyed a great part of the Greek masterpiece. However, efforts to renovate the Parthenon continue to this day. Such a rich city like Athens is embellished with numerous splendid temples, including the Temple of Olympian Zeus whose construction begun in the 6th century in honor of the Greek god Zeus. Today through the few remains one can see the splendor of the ancient architecture. Close to the famous Acropolis stands one of the best -preserved Greek temples in the world, the Temple of Hephaestus, designed by Iktinus, one of the architects who also worked in the Parthenon. Athens was the center of ancient Greek theatre, a city embellished with open-air structures constructed on the sloping hillsides. One of the surviving ancient Greek theaters is the Theatre of Dionysos located at the foot of the Acropolis. It dates back to 600 BC and is dedicated to the god of Dionysos. The theater can easily accommodate up to 20,000 people. West of the ancient theatre lies the Odeon of Herodus Atticus. 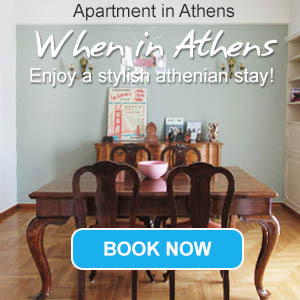 In the heart of the city, opposite Syntagma Square lies the remarkable Greek Parliament. The building was originally the house of the royal family but the early 20th century the building was devastated by a fire and the family had to abandon it. In 1930, it became the Hellenic Parliament. For more ancient sightseeing in Athens you can visit the historical neighborhoods of Monastiraki, Plaka and Thision and stroll through the classic Roman monuments and Ancient Agora. Athens central streets host some of the most beautiful 18th and 19th century buildings of neoclassical architecture like the National Library and the Academy. In Athens, visitor can also view a sample of Cycladic architecture in the small alley of Anafiotika, above Plaka.